Biblical fiction at it's finest! Jill never fails to transport me back into the pages of scripture with her writing, as if I'm right in the midst of the people & culture of the times. Surrounded by the sights, sounds, and feel of Shiloh & the annual feasts this time around in her book. Honestly, it's as real as being there myself! She also always nudges me to re-read the account of whatever character she chooses to portray in whatever book I happen to be reading. Though I've probably read the account of Hannah, her husband Elkanah & Peninnah many times in the Bible, the author has a way of breathing life into them who I only know through God's word. Making them real in my mind and feeling, seeing, tasting and touching everything they do. From walking with them on the dust covered roads as they travel to many feasts, and seeing the priests & many sacrifices made in the temple. It must have been quite a lot to take in, and to worship Adonai so freely among others who do the same must have been incredible! My own spirit leaps with them! I'd have to say I resonated with Hannah in so many ways. Not in the fact that she couldn't bear children, but that she wrestled with doubt that God heard her prayers when she prayed in earnest for a child, especially after so many years of barrenness. And when Peninnah cruely reminded her and oftentimes goaded her after bearing her own children. I know she had faith in the Lord and loved Him with all her heart, but I also know how it is to doubt. Both her and Elkanah also saw the wickedness of the priests & corruption of the temple and wondered how long God would tolerate it. They struggled with how a loving God could ever put up with evil! The author reminded us throughout the book that no matter our doubts or questions, God is a God that does hear and see even when we think He seems silent. I also know He used their son Samuel to mete out His judgment. But oh, my mother heart grieved when it came time to send him to live with Eli (the high priest) to fulfill Hannah's vow! Loved this book, just like the others I've read by Jill. She brings so much life to them and reminds us of God's ways in our own lives. Biblical fiction has quickly become one of my favorite genres thanks to authors like this who prod us to delve into God's word even deeper! *I received a copy of this book with no obligation to write a positive review. The opinions stated above are entirely my own. 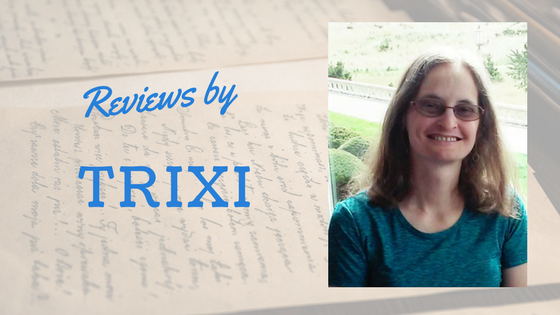 Great review Trixi! Your words just flow! I have not read Jill before. You make me want to go check one of her books out of the library. I like how you say it makes you want to really study the passages in the scriptures. It’s great when you can be transported into the story! Thanks! Yes, I agree. Such a nice job and makes me long for a chance to read this. As a Sunday School teacher it's fun to imagine more behind these stories! Great review! I really want to read this book. I love the story of Hannah. Thanks for reviewing! I have just recently re-entered the genre of biblical fiction in my reading, (thanks to Connilyn Cossette) so this is an author that I have not read, but certainly want to. Great insights! I used to be critique partners with Carole Towriss. I was in awe of how she brought the setting to life. 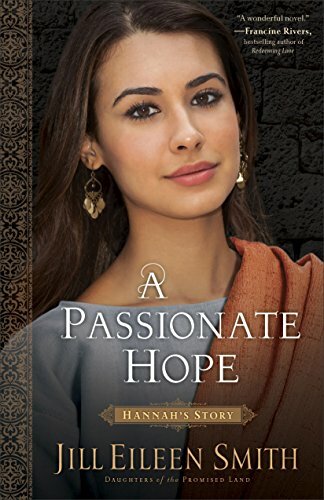 It seems like there are more Biblical fiction stories in the market now!